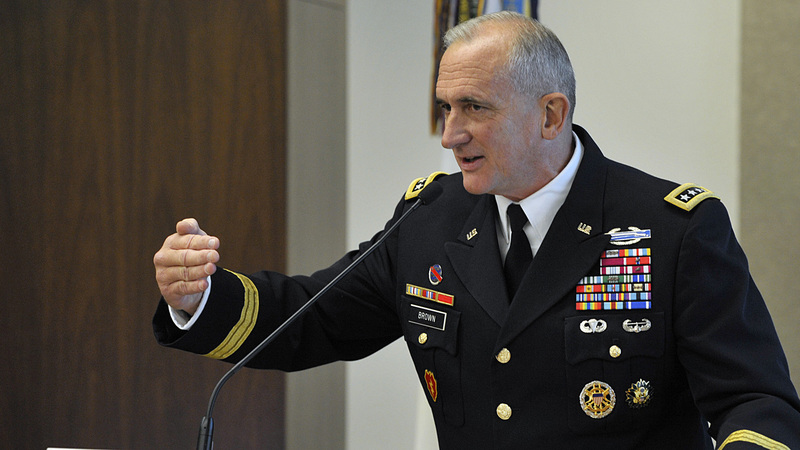 Integrated air and missile defense will be critical in the Indo-Pacific region, particularly as tensions grow with China, Russia and North Korea, the commander of U.S. Army Pacific said at a Hot Topic forum hosted by the Association of the U.S. Army’s Institute of Land Warfare. China and Russia are currently in competition with the U.S., rather than conflict, according to the National Defense Strategy. However, it is a “hyper-competition,” said Gen. Robert B. Brown. “Because of that hyper-competition, you have to have an incredible presence and posture,” he said. Holding land becomes very important in this sort of competition because it shows persistence, commitment and survivability, Brown said. The Indo-Pacific region covers 52 percent of the earth’s surface, and it is difficult to defend such a massive area. That’s why it’s so important to have Terminal High Altitude Area Defense (THAAD) and Patriot missile defense systems in locations such as South Korea, Guam and Hawaii, Brown said. “I’ve been in the operations center at Hickam [Air Force Base in Hawaii] when a launch has occurred from North Korea,” Brown said. Within seconds, an air and missile defense soldier had identified the landing location and the system needed to intercept, if necessary. “When I look at integrated air and missile defense in the future, the forward presence is key,” Brown said, describing a “layered defense” that would account for long-, mid- and short-range attacks. He said that one future system the Army is looking at is dual-purpose artillery, which would produce fires as well as a potential air defense against cruise missiles and other targets.